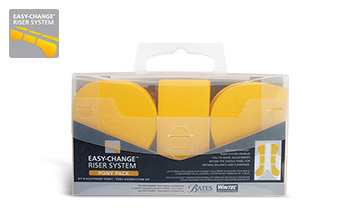 EASY-CHANGE® RISER STANDARD PACK contains a total of 10 pairs of risers and the locating tool. Risers are available in front, centre and rear pairs with four different thicknesses for the front and rear pairs and two thicknesses for the centre pairs. 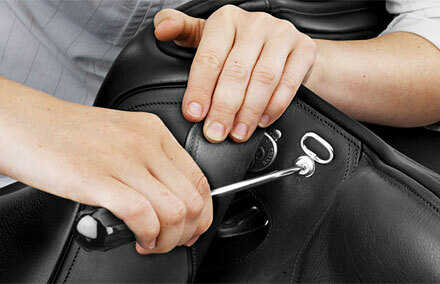 EASY-CHANGE® RISER PONY PACK contains a total of 6 pairs of risers and the locating tool. 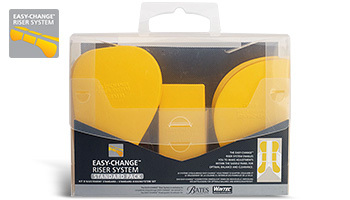 Risers are available in front, centre and rear pairs with two different thicknesses for each.